Your preschooler or kindergartner will love High Five magazine, because it’s designed and written just for their age group. High Five is an exciting, colorful, fun-filled magazine developed by the early childhood experts at Highlights to encourage and inspire tender hearts and curious young minds. 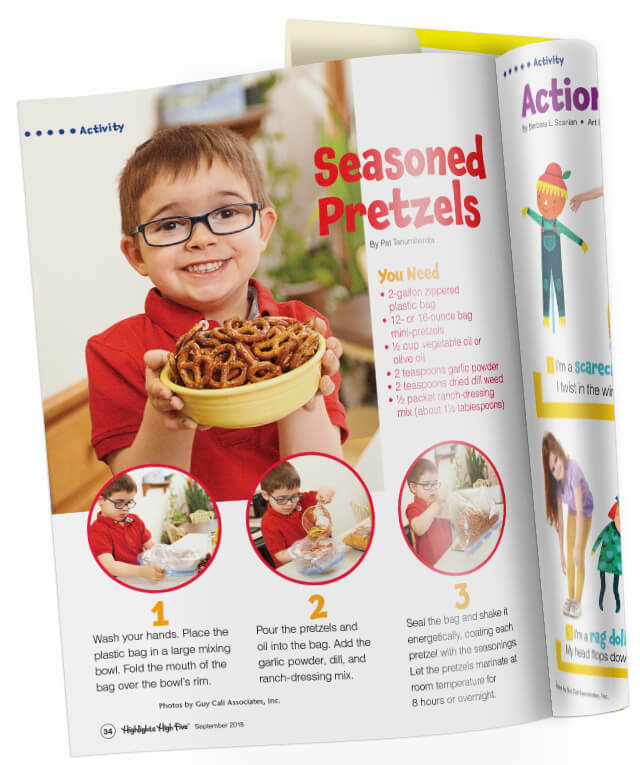 High Five children’s magazine subscription is filled with features that help build important skills while playing. We call it Fun with a Purpose. Get a FREE gift with your High Five subscription! When Will My Child Be Ready for Highlights™ Magazine?